Don't worry, guys! They're super safe. 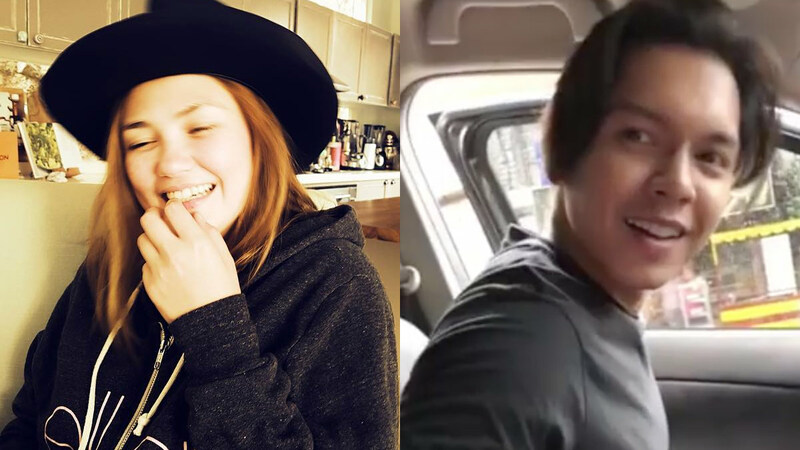 ICYDK, exes Angelica Panganiban and Carlo Aquino have been spending a lot of time lately. They're set to reunite on-screen in the film Exes Baggage directed by Dan Villegas. The pair went out for a "joyride" recently and got into a minor car accident. Angelica posted a video on Instagram where she recorded Carlo talking to the driver of the other car. "Meron po siyang problema," Angelica said while laughing in the video. She also captioned it, "Ang usapan, joyride... Bakit tayo nabangga? 'Etong mga batang '90s na 'to! Pariwara!' #DeserveMoAngFeedPost #TanghalingTapatKasi"
Their accident didn't seem too serious, with both Carlo and Angelica laughing throughout the encounter.